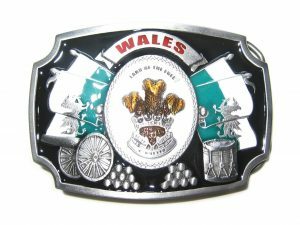 This quality pewter belt buckle features some wonderful iconic Welsh imagery along with the statement ‘Land of the Free’. Hand finished in red, green, white and bronze enamel. A wonderful accessory for any proud Welshman or indeed woman!